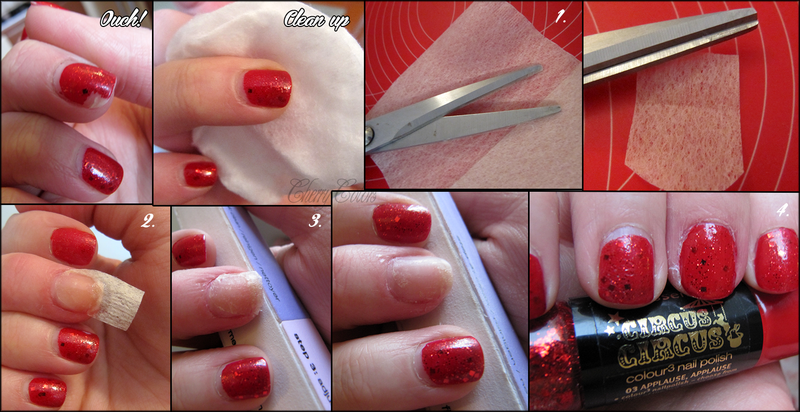 Tutorial: Fixing a broken nail in 3 steps - Cherry Colors - Cosmetics Heaven! Yesterday I was faced with the dreaded broken nail that hurts! You know the one that breaks right to your nail bed? OUCH! I remembered that a while ago (years!) those silk wraps were very popular for such breaks. Well I didn't have any of them left, not the glue that came with them. But I did have a tea bag and superglue. I said to myself "Let's try this!". The tools I used (and you'll need). (Optional) Clean the polish from your nail (if you have any on). 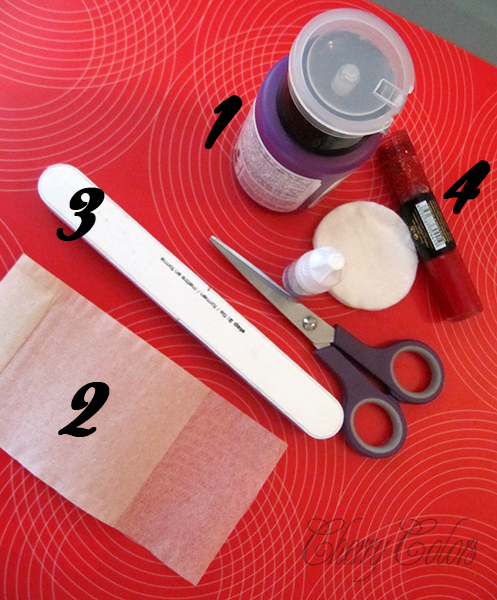 Put it on your nail, apply a tiny bit of nail polish over it. Spread it gently all over the nail. (I only managed to glue my fingers together about thrice) Let it dry. Cut the excess of the tea bag off. File it down, so it looks like a nail again. Repeat as much as it is needed. Apply nail polish. YAY done! These steps are really easy and simple. I did it in under 5 minutes. The glue that got stuck on my skin got off by the evening (by some pulling and tugging of the skin). Would you fix your nails this way?